You can build complex events from the ground up. 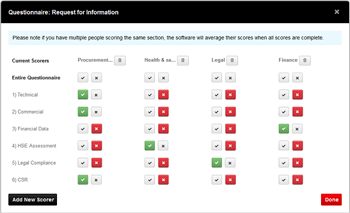 Include up to five questionnaires, make them PQQ’s, RFI’s, RFP’s, add multiple scorers and even weight them. Create complex lot strutures with line items, components, Unit of Measure sets and Multi Currency. You can even balance against non price criteria or look at the total cost scenario analysis. 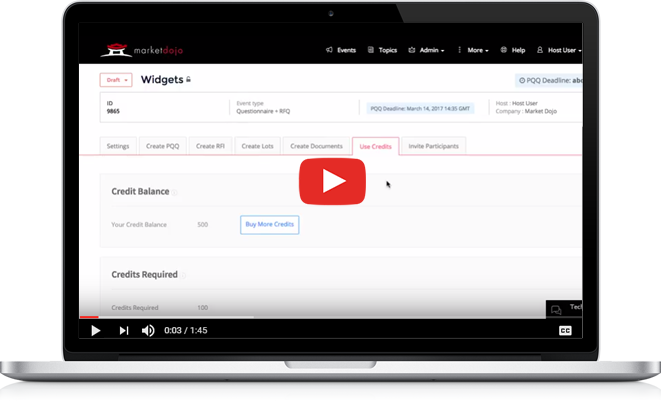 Suppliers can easily register and enter their answers and pricing. 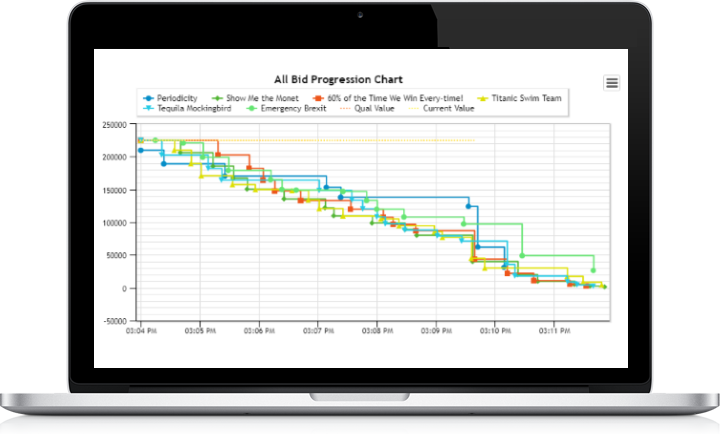 The tender can then be scored by all the relevant parties, stakeholders can be given the right level of access and you can analyse bids online and look at different scenarios before downloading everything through Excel. 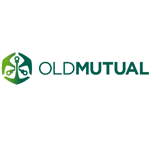 WHAT OLD MUTUAL WEALTH SAY? Over the past few years I have completed probably over 30 on line tenders utilising various sites. Market Dojo is by far the best one I have used, it was simple & intuitive & all functionality was obvious & straightforward. I especially liked the way it counted down the number of characters used as you typed which is really helpful. There are certain online sites that when I see their names my heart sinks because I know that I will need to spend a long time working out how to even access the documents let alone answer the questions!